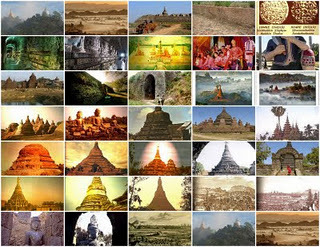 The current Thein Sein government is working to include Burma’s ancient cities in the World Heritage List of UNESCO (United Nations Educational, Scientific and Cultural Organization). To protect and preserve Burmese cultural heritages up to international standards, the government is now cooperating with UNESCO to get the cities added to the list. They submitted three ancient cities, Beikthano, Hanlin, and Tharay-Khit-taya (Sri Ksetra) to UNESCO. Union Minister for Information and Cultural Affairs Kyaw San mentioned those cities in his address in Pyithu Hluttaw held on September 20. “To add the ancient cities into the World Heritage List and to protect and preserve them according to the international standards, cooperation with UNESCO is underway. Beikthano, Hanlin, Tharay-Khit-taya were proposed to be put on the list. They are at the last step of being in the World Heritage List. When UNESCO is done with their standard procedures, the three cities - Beikthano, Hanlin, and Tharay-Khit-taya- will be in the list."